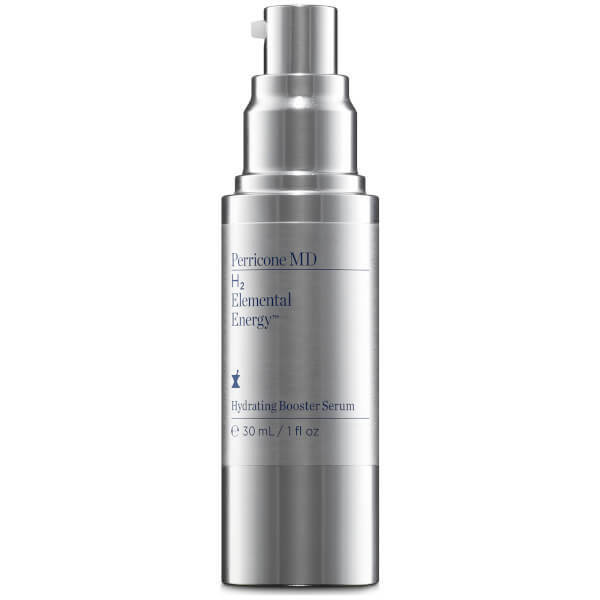 The H2 Elemental Energy Hydrating Booster Serum is an innovative new treatment from Perricone MD, developed to treat extreme dryness and dehydration. It’s powered by the exclusive H2 Energy Complex™, which harnesses Hydrogen, the smallest molecule in the universe, to deliver deep penetrating hydration to the surface layers of skin for 24 hour results. The fluid, ultra-lightweight formula glides across skin and rapidly absorbs without feeling sticky or heavy, ideal for layering with further skincare products in the H2 line for maximum efficacy. Expect a refined and more even complexion, with a renewed radiance and optimum moisture levels. 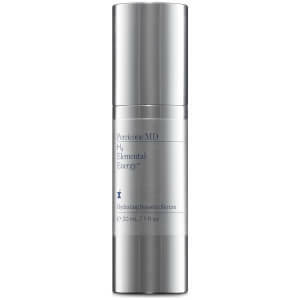 Smooth 2 to 3 pumps onto cleansed skin on your face and neck.